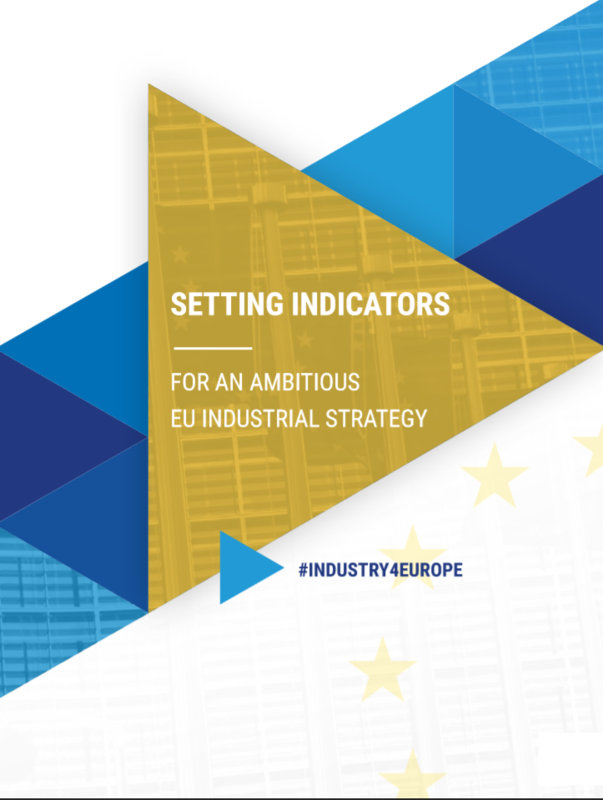 As part of its work within the coalition of industry Associations 'Industry4Europe', NIA was proud to present the joint paper 'Setting indicators for an ambitious EU industrial strategy' to the European Economic and Social Committee on April 4. Industry4Europe is a grouping of over 130 industry associations in Brussels that is working closely together to achieve a concrete industry strategy within the EU. Formed in 2017, the group initially published the joint reaction paper 'For an ambitious EU industrial strategy: Going further’ and is now working within study groups to produce more detailed support for that paper. NIA was proud to be a co-rapporteur of the study group on indicators and the paper presented to the EESC on Wednesday, had been signed by 111 Associations since its publication the previous week. It focuses on the need for strong and integrated indicators for assessment of industrial strategy, and a move away from headlines based on single indicators, rarely a complete reflection of industry performance. The paper includes cross-cutting indicators to be used in combination, such as employment, productivity and contribution to GDP, plus policy-specific indicators for areas such as research, skills and access to finance. Industry4Europe will continue to work together to build cross-sector consensus and support for an industry strategy and is working across EU and Member State structures to share priorities for sustainable industrial growth.